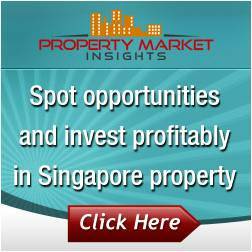 On 5th July 2018, the Singapore Government announced that it would raise the Additional Buyer’s Stamp Duty rates and tighten loan-to-value limits on residential purchaseswith effect from 6th July. In view of these cooling measures, some developers brought forward their launches to allow buyers to seal deals hours before these new measures kicked in. 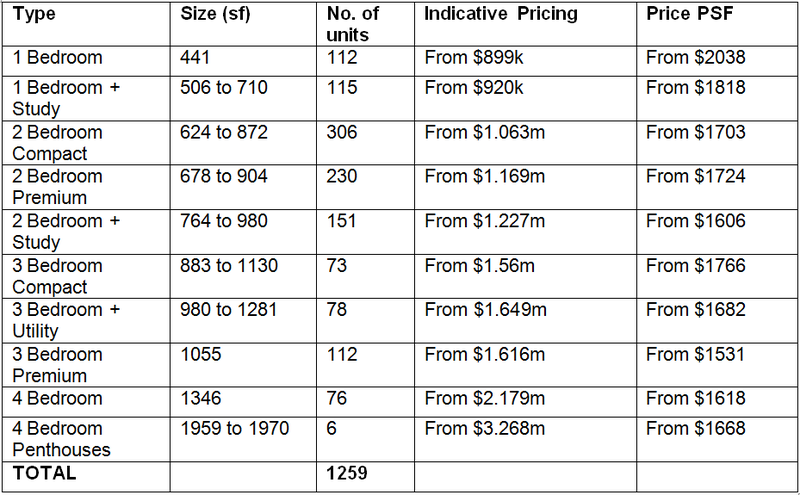 One such developer was Nanshan Group and Logan Property Holdings, which managed to shift 200 out of 1259 units in Stirling Residences at an average price of $1800 psf. It had brought forward its launch by a week. Stirling Residences, a 99-year leasehold development, sits on a plot size of 227,221 square feet and TOP is expected to be 30th April 2022. At the time of writing, 467 units have been sold. 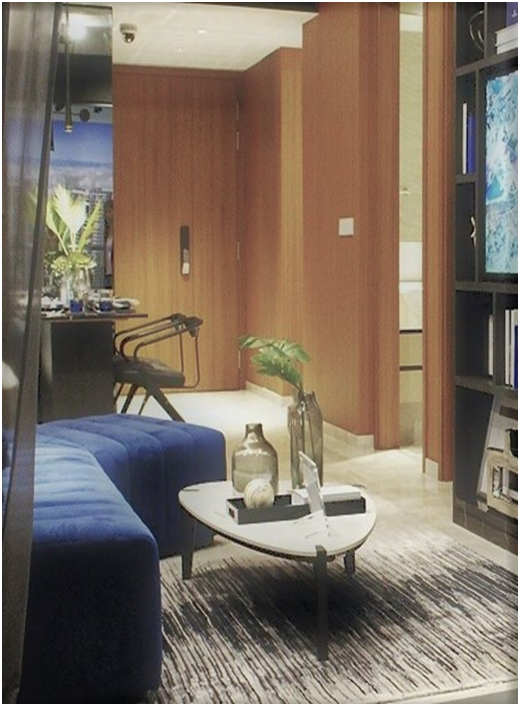 Consisting of two 40-storey towers and a 38-storey tower, a variety of units ranging from 1 to 4 bedrooms are offered. 4-bedroom penthouses are also available. 1259 parking lots are provided. The main entrance is at Stirling Road facing the Mei Ling Street HDB estate, and the side gate is also on Stirling Road, facing Queens Condo. Facilities are located on Deck 1, including various water facilities like lap pools, kid’s pool and water play areas, and an aqua gym. The development is dotted with various activity areas like gardens, ponds, decks and BBQ pits. There is also a tennis court and various sky and roof terraces for residents to enjoy the views. In total, the condo features 80 of such facilities. There is also a childcare located in B2 of the project. 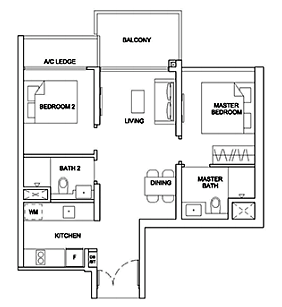 This 2-bedroom premium unit has what is known as a dumbbell layout. From the entrance, the living, dining and balcony areas are directly ahead, while the two bedrooms are on either side. The kitchen is located in a recess on the left near the main door. This is different from most 2-bedroom units where the kitchen is usually next to / part of the dining area. Due to the unit size of 678 sq ft, the kitchen is rather small and both counter and storage space is limited. Moreover, the washer/dryer takes away a chunk of space as well. Kitchen equipment,including a fridge and oven from Brandt, are provided. The living and dining areas are separated by the entrance to the bedroom, which means that they are a door’s width apart. This is somewhat close, although the distance from the sofa to the opposite wall is adequate. Flooring for 2-bedroom units are homogenous tiles. The master bedroom isa reasonable size and a king-sized bed can be placed. However, walking space is compromised and is just satisfactory. Flooring for bedrooms is timber. Queenstown is a mature estate, and amenities are easily available. 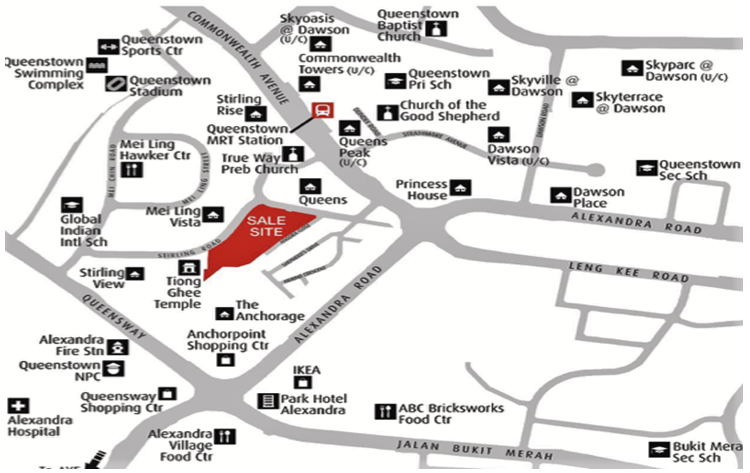 Shopping malls like Anchor Point, Alexandra Central, Queensway Shopping Centre, and Ikea are all within a straight line distance of between 350 to 500 metres. These malls offer both retail and dining options. For hawker food lovers, Mei Chin Road Market is just across the road. A Cold Storage supermarket branch can be found in Anchor Point, and NTUC fans can find a small branch at Blk 170 Stirling Road which is about 230 metres away. For a major supermarket run, a bigger NTUC branch is located at Dawson Road, about 650 metres away. Queenstown Community Library is about 800 metres away. For medical facilities, the nearest is Alexandra Hospital. Getting to other parts of Singapore is easy via MRT or by driving. Raffles Place is only 5 stops away via the East-West line. Driving to Wheelock Place via Tanglin Road will probably take 10 minutes. Schools areplentiful in this area. These include New Town Primary School, Queenstown Primary School, Queensway Secondary School and The Global Indian International School.Higher institutes of learning near driving distance include NUS, Ngee Ann Polytechnic, and Singapore Polytechnic. 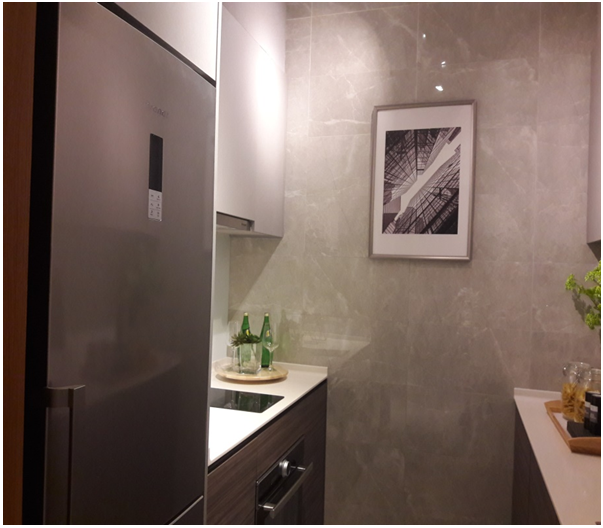 Stirling Residences is in a good central location – easy travelling to the city for work, as well as to Orchard for retail therapy. The area is a mature estate, and amenities are easily available. Views from the higher floors will definitely be panoramic – be it the city skyline, or a sea view. The development is away from the main road, with units facing either Mei Ling Street or Angora Close. 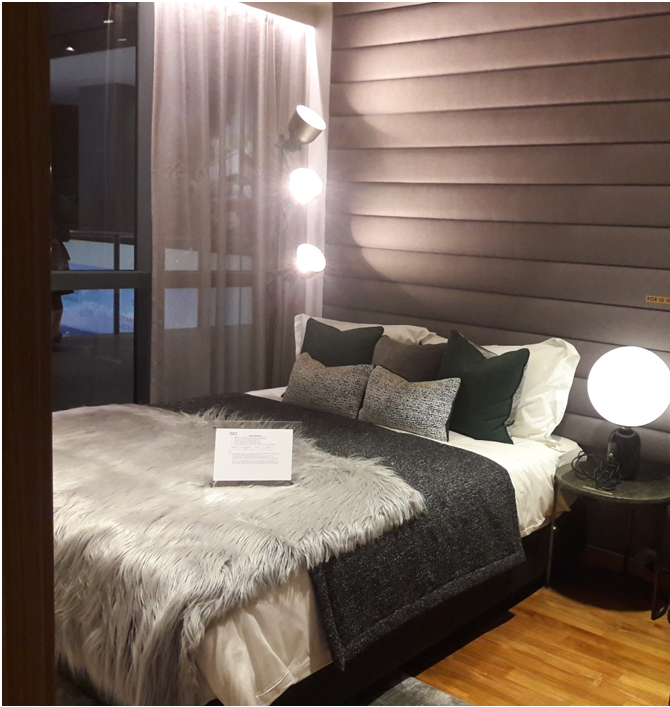 Thus, it will be a quieter and more tranquil development as compared to other condos in the area, which are facing the main road and have to contend with the MRT noise. 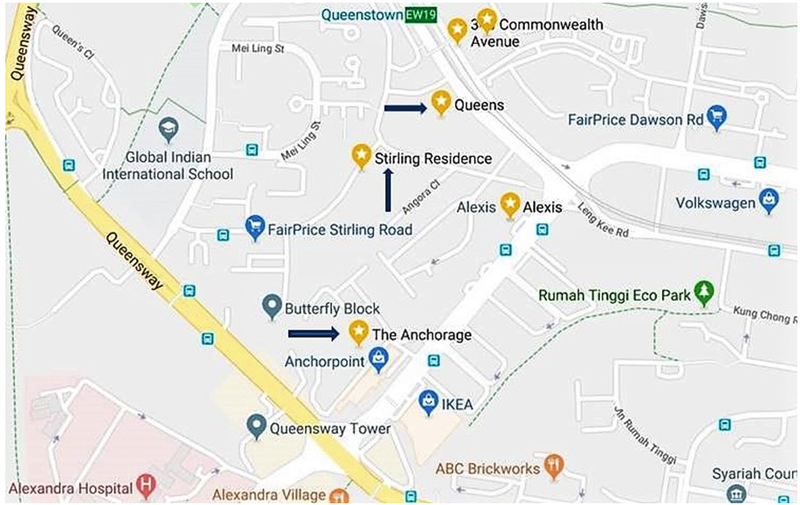 Vehicular entrance to the development should be relatively smooth as drivers can access the condo via Shepherd’s Drive, Stirling Walk or Mei Chin Road. Half the units face the HDB flats at Mei Ling Street, so lower floors may not have any views as such. However, these flats are across Stirling Road, so they will be some distance away. Units are of a North-West and South-East orientation, so all units will be getting some indirect morning or afternoon sun. The number of units total 1259, rather a big number in my opinion. While maintenance fees may be manageable, facilities may also be crowded. As with most developments today, the balcony and the air condition ledge takes up a big chunk of floor area. Low floor units facing Mei Ling Street will have no views. Units on the side of Stirling Road will have some afternoon sun. Units facing Angora Close will have slightly better views, and higher floors may have views of Mount Faber and Sentosa. Block 21 will be the closest to the side gate leading to Queenstown MRT. Block 25 is next to Tiong Ghee Temple, so lower level units may face noise from temple activities. For this development, I’d prefer a unit facing Angora Close, probably from Block 23. For comparison purposes, we will be looking at Queens, a leasehold project of 722 units and The Anchorage, a freehold project with 775 units. 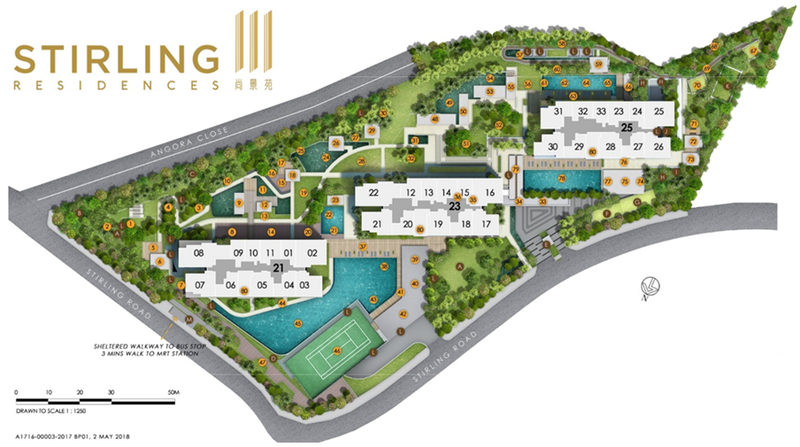 For 2 bedroom units, I will not choose Stirling Residences for two reasons. First, the PSF price is hefty – about $350 to $450 PSF higher than its competitors. Secondly, the size of the unit at 764 square feet is not what I deem comfortable. Considering that condo living is meant to be luxurious, living in such a small space is hardly comfortable. l would probably have to go for Queens as both the PSF price and unit size are acceptable. However, buyers may have to spend some money doing up the unit as Queens is a fairly old development. For the 3 bedroom units, I will plump for a low floor unit at Stirling Residences as both the unit size and quantum price are acceptable. If affordability is not an issue, I will get a unit at Anchorage. Although the development is old, it’s still a freehold.